The month of November 2017 is full of fun, comedy, music and drama for Indians in New York and New Jersey. Before the Diwali hangover completely disappears, India’s standup comedians – Vir Das and Neeti Palta – will take on Desis with their witty jokes and pun-intended funny comments. Do catch up with such renowned celebrities from India as Ustad Zakir Hussain, Pt. Hariprasad Chaurasia and Shankar Mahadevan during Indian events in New York and New Jersey Indian events in November 2017. Both cities will groove to Neha Kakkar’s live music in November. Indian singing stars – Richa Sharma and Neha Kakkar – are gearing up to rock with Indians in New York on November 5. Their concerts are among the best Indian events in New York in November 2017 as both Richa Sharma and Neha Kakkar will perform live in New York for the first time. While Sufi Queen Richa Sharma will sing her most popular songs, Neha Kakkar will enthrall the audience with her Bollywood and Punjabi hits. Be ready to get your ribs tickled by Vir Das, one of the best stand-up comedians in India, during the annual New York Comedy Festival in November. Scheduled on November 9, the Vir Das Live stand-up comedy will surely leave you in splits over funny puns, witty jokes and through-provoking sarcasm. It’s obvious why we couldn’t help adding Vir Das Live to our list of events for New York Indians in November 2017. There is nothing more delightful than an evening with Rachna Nivas, a most eminent Kathak dancer, on November 9. Of all New York Indian events in November 2017, the Rachna Nivas Kathak Dialogue is not merely a show. The audience will be given an enthralling introduction to Kathak through narrative moves in rhyme with consummate musicianship. Rachna Nivas will take New York Indians through other world dance traditions through Kathak. The 20th anniversary of New York-based Shanti Bhavan on November 9 found space on our list of Indian events in New York in November 2017 for its humanitarian cause. Established in late 1990s, the NGO works for the welfare of underprivileged children in India by providing them free education, shelter, clothing and medical care at its own school. The 20th anniversary gala is a charity event to raise funds for building a second school in India. Do attend the celebration and help a few needy kids achieve their dreams. Legendary Indian flautist Pandit Hariprasad Chaurasia will tug at the heartstrings of Indians in and around New York with his touching notes, on November 17. 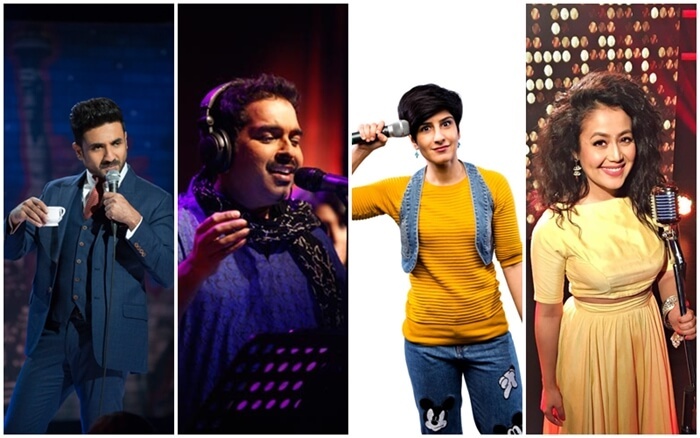 Among the most-hyped November 2017 Indian events in New York, it is part of the World Music Institute’s concert series of 2017-2018. Harmonious melodies from the flute of the world-renowned musician will forever be frolicking in your ears. Do not miss the musical experience! When Vir Das will take a dig at things to entertain New York Indians, Neeti Palta will bring the house down in New Jersey with the female side of humor. Neeti Palta, who quit her lucrative job in advertisement to make the world laugh out loud, is one of the best female stand-up comedians in India. She is funny, witty, satirical and creative. Her tongue-in-cheek comments make things laughable beyond measure. Do mark the date on your calendar of Indian events in New Jersey in November 2017. Eminent percussionist Ustad Zakir Hussain and renowned bassist Dave Holland will get together to wow the residents of New Jersey, including Indians, with their collective music intuition in a live concert at the New Jersey Performing Arts Center Prudential Hall in Newark on November 6. The musical genius duo will be accompanied by composer/vocalist Shankar Mahadevan, jazz pianist Louiz Banks, guitarist Sanjay Divecha, saxophonist Chris Potter, and drummer Gino Banks, thereby making it one of the best New Jersey Indian events in November 2017. Travel Beats, a leading Indian American community magazine by Indian Eagle, publishes the latest travel, tourism, visa, immigration, community news and events. Indian Eagle is a trusted travel partner of Indians in the US for booking their flight tickets to India from New York and air travel from New Jersey to India for the lowest fares.